Upon first glance it is not immediately obvious, but as you get closer the image of the elephant appears and it then becomes a piece that you just want to sit and ponder over for a while. 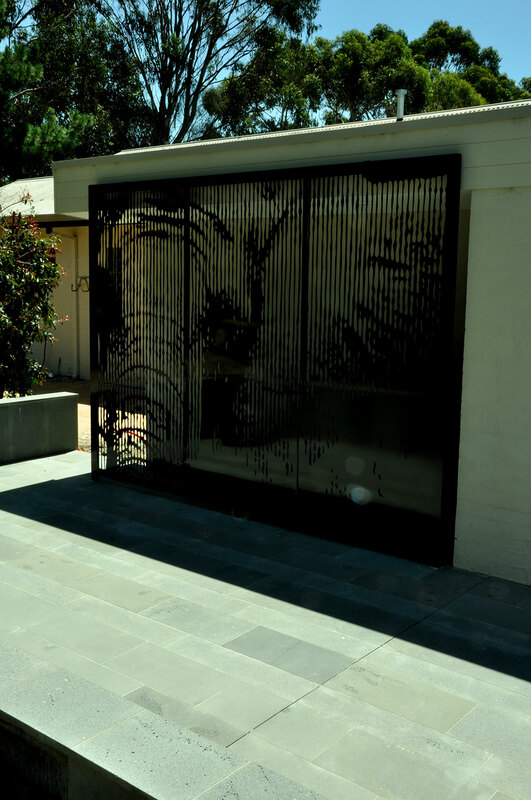 An external artwork, come sculpture, that captivates as you come down the long driveway of this property. 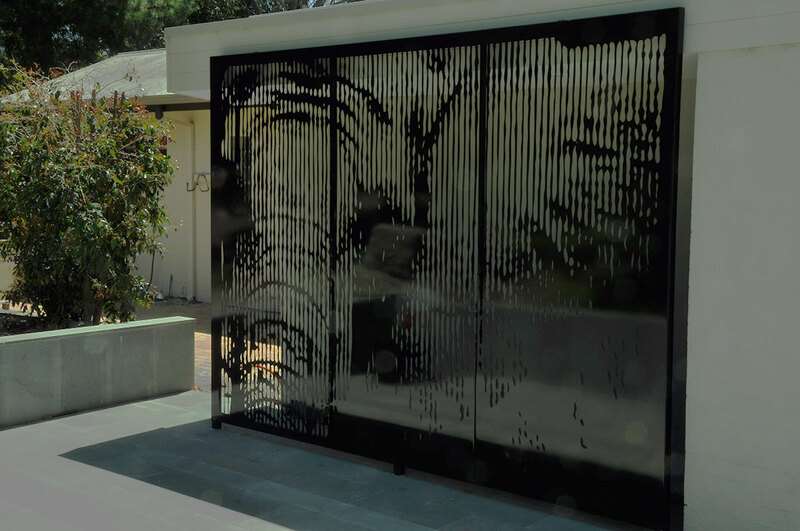 Custom designed by Wayne Reid, this design of an elephants head is made up of hundreds of textured lines which we laser cut into three seperate panels and then joined to form one large piece at 2.4mt high x 3.6mm wide. 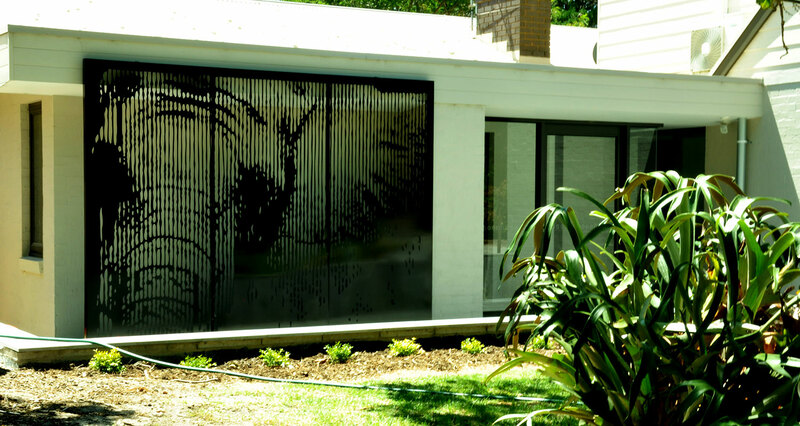 Finished in a two pack black paint – the piece stands out against the off white walls of the recently renovated home.